This is a map of the current location of Cheapside and the Bow Church, both of which are just east of St. Paul’s Cathedral. This is the supposed original location of the 1883 sewer excavation, where the glass-centered disc brooch was found along with other pewter brooches and rings. 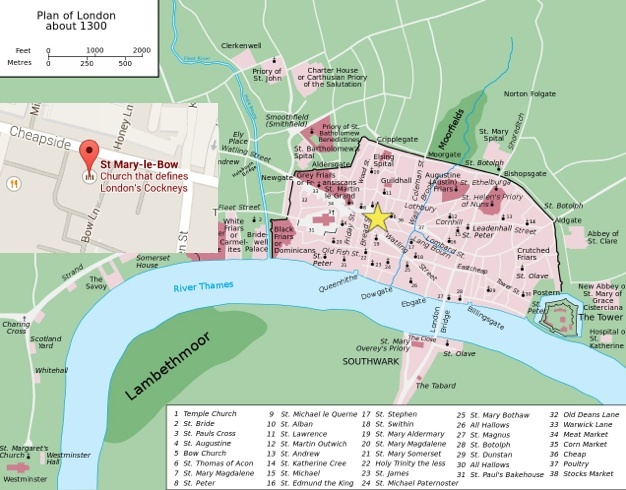 Bow Church is now known as St. Mary le-Bow, and is depicted on the 1300 London map with a five-pointed yellow star. 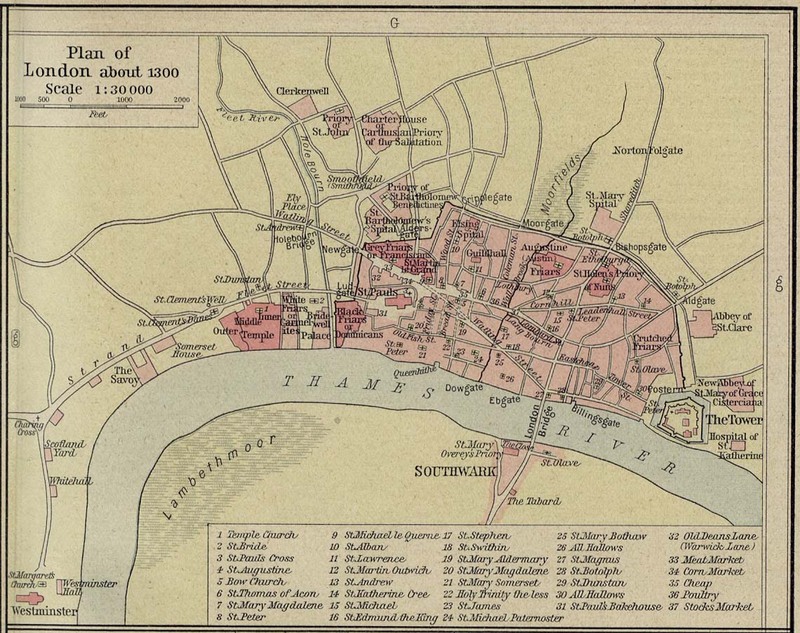 The smaller map on the left is a closer view of present-day Cheapside Street and where St. Mary le-Bow is located on it. 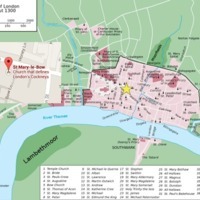 Google Maps/Google Earth, Edits by Tara Cangialosi, “Map of Cheapside and Bow Church,” Medieval London, accessed April 22, 2019, http://medievallondon.ace.fordham.edu/items/show/54.